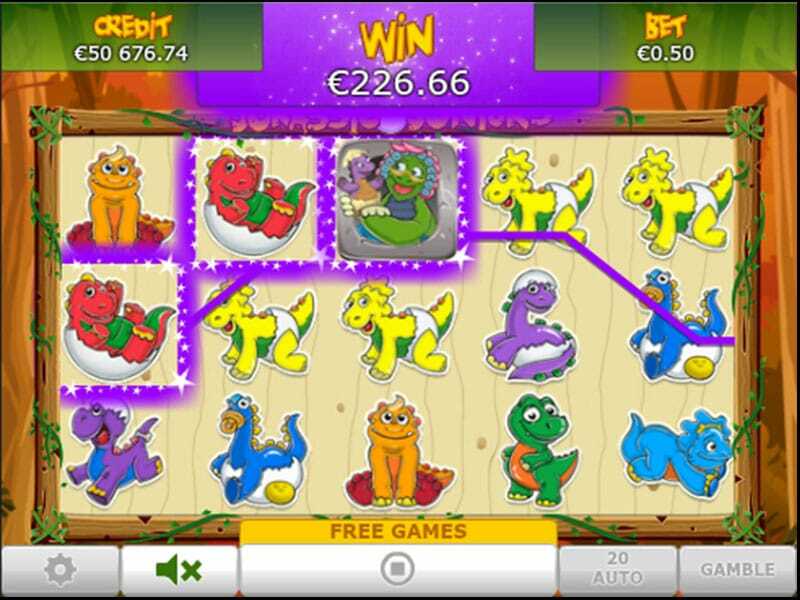 Here’s a superb new online slots game that takes you back to the ancient times of the Dinosaur era. You’ll have plenty of opportunities to hit the Jackpot with this slot and get that all important lucrative pay out. The game features your typical five reels with up to 243 ways to win. As well as an impressive progressive jackpot and an exciting bonus feature game in which you can expect anything you win in the game to be tripled. A Progressive Jackpot – The Jackpot will continue to increase for every time that the reel is spun but the jackpot is not won. When the jackpot is finally won it will be reset to its original value and then begin to rise again as the game is played. Wilds – Similar to the majority of slots, the Wild symbol will be substituted for any symbol except the scattered Dinosaur Egg to form a winning combination that will be double the regular pay. 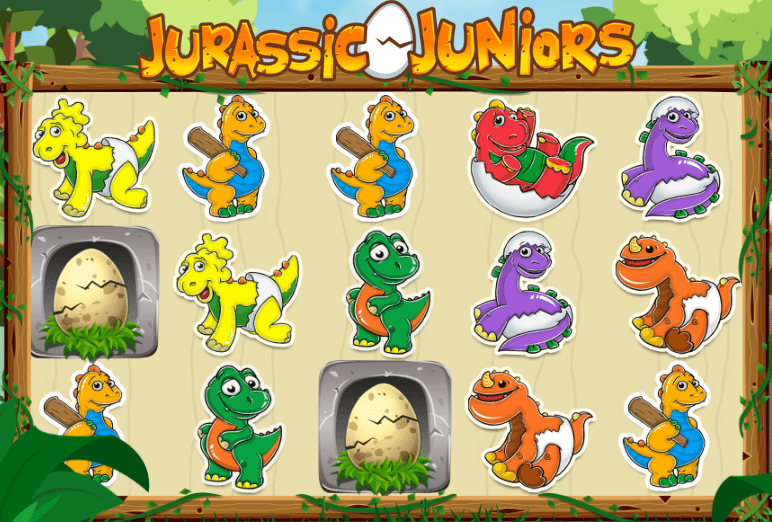 Free Bonus Game – Successfully land on three or more Egg symbols on the reels and the Jurassic Juniors bonus game will trigger, awarding you with fifteen free games where all your winnings will be tripled. All in all, this slot is another excellent development by Eyecon. 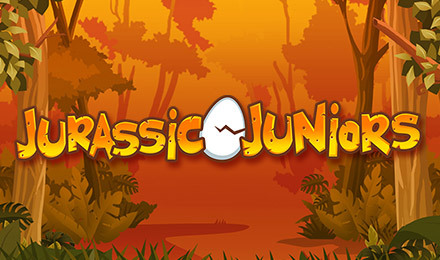 Which boasts a creative theme, whilst the dinosaurs might be ancient the game certainly isn’t, with exciting modern graphics and audio to match. With the progressive Jackpot being at the heart of this game it really is an exciting feature as you begin to see it increase each spin and become even more rewarding. If you enjoyed this game you could try some of the Developers other games as previously listed.